Product range for the commercial amusement machine market. These items have been tested over the years and are consistent reliable money earners. Please select from following for further information or brochure. Latest release Prize Redemption Game. Skill based to test your reflexes. 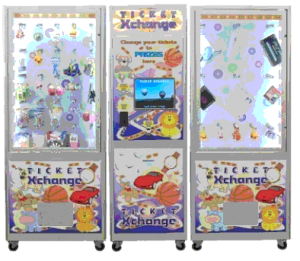 Ticket Counting and Prize dispensing unit. A great crowd pleaser whether you are playing the game or just watching. Fantastic for Promotions and New Product launches. 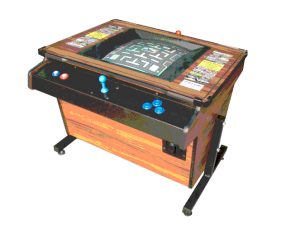 Table Top Arcade machine. Play all those "Retro" games. The Ultimate Air Hockey complete with Overhead scoring and Sound Effects. Texas Holdem Poker never looked better. Play against the machine or Head to Head. 1) 38" CRT Screen Video game cabinets. Only suitable for Shooting games. 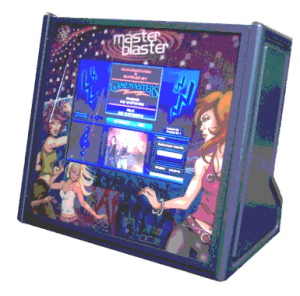 Party Hire Jukebox small and powerful packed with features. Plush Skill Tester with many variations.